i helped tear down a wall of an old building many years ago. the concrete block were filled with carling black label flat top cans in mint condition. the brick layers would drop them in as they finished. i love that old stuff. My folks have an Old Style box, very similar that my grandfather got, when he drove truck for a distributor, back in the day. It's in the middle of their living room & serves as a mini coffee table/blanket box. I hope to inherit it, some day. 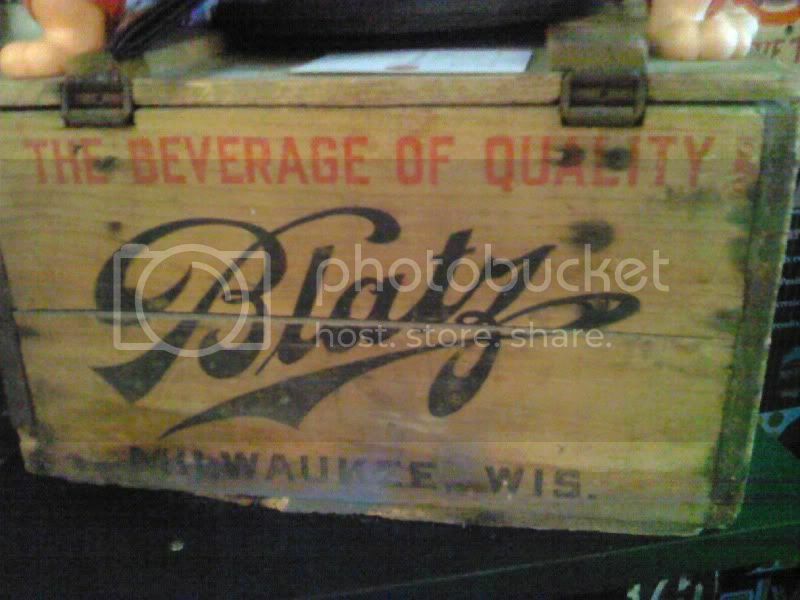 Ohhh Blatz, Black label, Old Style... The fond memories..... Cheers!!! a friend got me a similar box a few years back - its been sitting packed away in my garage for a while now, but I think I'll break it out and clean it up for display when I get to the new brewery. Pic added with you in mind !